2018 – the Year Credible EU Enlargement Policy Returns? *The article was previously published on the website of the European Policy Centre. The previous year, 2017, was the year of annunciation of the return of the EU enlargement policy. The European Commission President J.C. Juncker, in his State of the Union Speech, and later in the letter of intent directed to the European Parliament in September, mentioned the need for defining a clear time perspective for the accession of the leading candidates Serbia, and Montenegro to the European Union by 2025. E. Macron, the President of France, reacted similarly in his speech on the future of the European Union in September at the Sorbonne, which is especially important for the political legitimacy of the announced return of the enlargement policy into the focus of the EU. Even more importantly this idea did not meet any serious opposition, despite the obvious rise in populism and the lack of attractiveness of the topic of further enlargement in the EU Member States. All of this indicates that the relationship between the EU and its Member States towards the enlargement policy is beginning to change slowly from a very sceptical attitude from the beginning of the mandate of Juncker’s Commission to the announcement of a credible enlargement strategy and defining the time frame for the most successful candidates. In favour of a positive climate to a return to enlargement policy of the EU goes the initiative for a continuation of strengthening of regional cooperation in the Western Balkans within the framework of the Berlin Process. Positive examples of infrastructural connectivity in the region, elimination of trade barriers, the development of a common economic area, cooperation between business people and a common approach to potential investors, as well as strengthening cooperation between the youth, can contribute significantly to a positive perception of the Western Balkans and its positive image in the EU. An additional impetus to EU enlargement policy can be provided by the Member States that will chair the EU Council in the upcoming period. Presidency of the Council of the EU by the Member States which have a special relationship with the Western Balkans, given their geographical proximity, as well as to the enlargement policy, given direct and recent experience, will have a special importance in the next few years. From January 2018 until the end of 2020, the Council of the European Union will be chaired, in the following order, by Bulgaria, Austria, Romania, Finland, Croatia and Germany. The role of the presiding country is to, in cooperation with the European Commission, coordinate the policies and activities of the Union. The presidency primarily has the role of an “honest broker” in defining the agenda and the calendar of decision making on accession negotiations with candidate countries, so that particularly interested countries can influence the dynamics of these negotiations. A preoccupation with internal issues of the EU, the ability of the Presidency to provide a consensus among the Member States, as well as the success of the candidates to meet known requirements, will certainly have a decisive impact on the speed and quality of the integration process. At present moment, before its official publication, all the elements of the future Strategy are still unknown. This paper suggests the need to change the current approach and structure of the EU enlargement policy. The complexity and the scope of structural challenges faced by the Western Balkan countries require a different approach relative to the previous wave of enlargement. The European Union has significantly changed since 2004. Simultaneously, candidates and potential candidates for EU membership from the Western Balkans are quite different than candidates for accession at the beginning of the 21st century. Post-conflict societies, with a pronounced nationalist sentiment, economic problems, open bilateral issues, unstable democratic institutions and the judiciary, and strong authoritarian tendencies of political leaders, represent a challenge for the absorption capacity of the EU and the mood of citizens for its enlargement. The challenges that the EU faces today also does not stimulate enthusiasm in the Member States for enlargement. However, interdependence and the impact that developments in the region have on the EU and vice versa, require a serious approach to the issue of redefining the current EU enlargement policy towards the Western Balkans. This paper attempts to draw attention to certain essential elements that should be included in a new, credible EU enlargement Strategy. Proceeding from the assumption that the approach “business as usual” is unproductive and can lead to demotivation of candidates (and potential candidates), on the one hand, and the EU and its Member States, on the other. It is necessary to consider a different, less conventional approach, which will require a certain dose of creativity from the European Commission in defining the instruments and methods in the new Strategy, but also a vision of the future of the EU and the courage of representatives of the Member States at a time when it is much easier to concede to populism. Simultaneously, the Western Balkan countries will unequivocally have to embrace the changes that joining the EU involves. The credibility of their commitment will best be demonstrated if they truly dedicate themselves to resolving bilateral issues because these questions are the basis for the remains of nationalism, populism and a kind of political alibi for lack of commitment to democratic changes. It is necessary to change an antagonistic discourse and narrative, and accept the language of mutual respect and cooperation, especially in those situations when a common position on certain issues is not shared. This requires maturity, a great deal of personal political courage, resistance to challenges of populism and local topics, a genuine leadership, a clear vision and a historical responsibility to citizens, like the one exhibited by leaders of France and Germany just a few years after the end of WWII. How to Make the Strategy of Enlargement Credible? 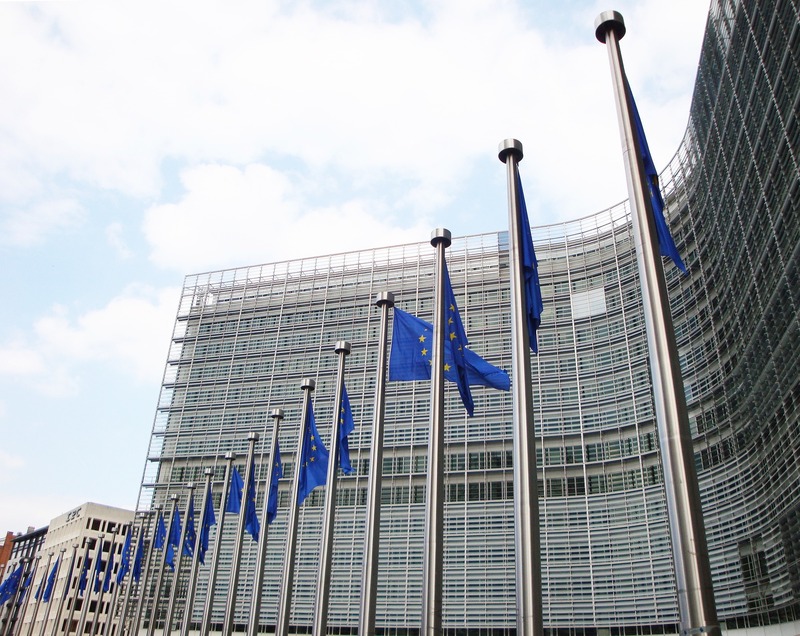 A central role in the EU’s determination towards enlargement policy will have the forthcoming Strategy of the European Commission on the perspective of enlargement expected to be released in early February. According to initial announcements, this Strategy should provide a credible perspective of future membership for Serbia and Montenegro as the current leading candidates in the accession negotiations with the EU. It is realistic to expect that the Strategy will encompass other Western Balkan countries and that the prospect of membership will be offered to countries which currently lag behind the two mentioned counties for different reasons. The key word of this Strategy will be “credibility”. The Western Balkan countries should be offered a credible roadmap towards future EU membership. This implies a departure from the policy of “business as usual”, i.e. defining a new approach to enlargement policy, considering that these countries already partly, based on different contracts in certain areas (trade, transport, energy, education and science), directly or indirectly, are an integrated part of a wider European area. Therefore, it is necessary to offer something new. A step in the right direction would be discussing the issues of economic development and instruments for faster catching up to the average level of economic development of EU Member States. The question of economic development represents an acute problem for Western Balkans. Numerous studies and projections of economic growth suggest that it will take many years for the Western Balkan countries to achieve economic convergence, or at least reach the average level of economic development of the EU. The current level of economic development, with all its negative effects on the level of employment, and especially on the drain of skilled labour, the economic stagnation, i.e. lagging of the region compared to the EU Member States, is one of the generators of the political crisis in the region. For aforementioned reasons, it is necessary that the new Strategy is clearly defined on the need to strengthen financial support for economic development and structural reforms in the candidate countries. Thus far, structural development support has been reserved exclusively for the EU members. A credible integration strategy should try to provide a creative solution and provide similar treatment in the case of candidates with defining the necessary conditions for the use of this type of support. The credibility of the Strategy’s novel approach will be possible to measure by structure and eventual increase in funds, which would be earmarked for aid for accession of the countries from the region to the European Union (in addition to the existing IPA). Providing additional resources would facilitate structural reforms, strengthen the absorption capacity and allow for an easier period after accession and their inclusion in EU politics. Previous experience of new members indicates their structural unpreparedness for drastic increase in the resources of structural funds and cohesion fund which are at their disposal upon EU accession. Consideration of a different methodology of allocation of financial aid in the forthcoming Strategy, which would ensure gradual and continuous growth of designated financial resources for the candidate countries, would represent a new quality in relation to the current practice. If it wants to confirm the effect of certainty of future membership of the Western Balkan countries in the EU and the credibility of the new approach, the European Commission must think about ways to include these countries in various sectoral policies and programs of the Union. It is understood that the Western Balkan countries would not have the opportunity to participate in the adoption of decisions given that they are not members. However, it is possible to predict their role in consultations about the creation and development of common policies which would be useful and mutually beneficial. In this way, a higher level of integration of these countries would be ensured in areas such as the common agricultural policy, environmental policy, energy and transport policies, as well as questions concerning security and the rule of law, or in programs that are intended for scientific research, transportation corridors or education of citizens of the Union. Simultaneously, public perception about the belonging of these countries in the common European family would be significantly enhanced by such inclusion. In this regard, the inclusion of political representatives of the countries from the region in different EU bodies, where possible, would help in their socialization and better understanding of the consensual spirit and common EU policies. Participation of representatives of candidates in the working bodies and/or meetings of the Council would contribute significantly to strengthening the sense of belonging, networking, making contacts and transfer of experience from the Member States to the candidates. Simultaneously, in this way a clear message would be sent to third countries which have for different economic, strategic and/or political reasons, invested their interests in this part of Europe that the Western Balkan countries are in a certain way already “included” in the EU and that their future membership is not in question. The inclusion of the Western Balkans and building, on the one hand, EU’s absorption capacity, and on the other hand, candidates’ accession capacity, would significantly ease their gradual and complete integration in the EU. Of special importance would be the inclusion of representatives of the countries from the region in the debate about the future of the EU, given that it is a common future of its current and future members. Participation in the discussion about the future of the EU would contribute to creating a sense of belonging to a community and it would strengthen dialogue with the candidates and potential candidates. This dialogue is not exclusively the need of Western Balkan countries. Within the framework of the dialogue, an opportunity for the citizens of the EU Member States would open so that they get better acquainted with the achievements, but also the challenges that determine the pace of further EU enlargement. The importance of timely and objective informing of EU citizens about the process of its redefining is unquestionable from the standpoint of democratic legitimacy of the future Union. It is sufficient to recall the failure of the referendum on the EU Constitutional Treaty in 2005. Simultaneously, it is important to emphasize the necessity to include not only government representatives, but also civil society representatives in the broadest sense (including representatives of NGOs, think tanks, academia, professional associations, the media…). The Strategy would need to support its credibility with some, even tentative, timetable for integration of candidates who meet the necessary criteria. However, defining the timeframe and membership perspective of leading candidates up to 2025 is not enough. On the contrary, if there is no clearly defined measuring of “lap time”, this approach could demotivate candidates to give their best and can represent a specific risk to indulge in an unproductive waiting of “their turn“. Therefore, it is necessary to determine the time frames of this process within whose framework clearly defined and measurable criteria will assess the achievements of candidates and accordingly define the next stages of the process. This is important because of the transparency of the process and informing the public about the current state of the accession negotiations of each individual candidate. Simultaneously, this is significant because of commitment of the European Commission to, at some point, assess the effects of EU accession in these countries, which is one of the conditions for every EU enlargement. The best proof of certainty of outcome of the accession process and the credibility of intentions of this Strategy would be unequivocally stating the EU’s readiness to provide funds for the financing of accession and membership of future members in the next EU Multiannual Financial Framework (multi-annual EU budget). Besides an unequivocal confirmation of credibility of a perspective for accession of successful candidates, this move would have a positive effect of additional motivation for countries in the region to undertake all necessary reforms in order to take advantage of this opportunity because it concerns financial support that is several folds higher than the current. In the atmosphere of overwhelming populism and impact that “fake news” have on the daily lives of citizens, a clearly defined perspective of the concrete financial support for membership would have a significant impact on certainty of the results of the process, as well as the attitudes of the citizens towards the EU. Additionally, the Strategy should address the fears of citizens of the Western Balkans, who largely define their relationship towards the process of European integration and Union itself. Their fears are mainly caused by socio-economic reasons. Most of the people who belong to the eurosceptic group believe that their unfavourable position is indeed due the reforms undertaken in the EU accession process and the transition to a market economy. It is necessary that these fears of so-called “transition losers” are recognized in time and that the Strategy writers consider the possibility of creating special financial instruments which would be designed to mitigate the social effects of the adjusting reforms. The results of this approach would be helpful in several ways. Apart from the obvious effects on social stability, this would reject an alibi argumentation that the “requests from Brussels,” are to blame for difficult socioeconomic condition and thereby reduce the pressure on the political leaders in the region. Simultaneously, it would ensure a stronger public support for the continuation of reforms and the legitimacy of the EU accession process. The implementation of this approach will require not only creativity of the European Commission but also a vision of European political leaders. A credible perspective of EU enlargement Strategy must be based on a legitimate request for an also credible approach of countries in the region for the continuation of the accession process. This request must first of all be directed towards an unequivocal confirmation of the commitment to EU membership and fundamental democratic changes. Unfortunately, in most countries in the region, there is an evident gap between the declared priority and the reality. Institutions are occupied by politics, which is reflected through various and obvious cases of undue political influence on the work of the judiciary, public sector employment that violates clearly defined criteria, demeaning and endangering the functioning of independent institutions and regulatory bodies, creating an atmosphere of economic uncertainty that affects the freedom of the media, to rendering the Parliament useless as a legislative body whose role is to check the executive branch, not to be its transmission. In such circumstances, it is legitimate that the EU requires substantive democratic change from the candidates. Respect for fundamental democratic values ​​and the fulfilment of well-known conditions for membership must be accepted and confirmed through candidates’ actions as a clear and unequivocal goal. The achievement of this goal involves leadership, leading by example and taking responsibility for change in society, hence sending a clear message to citizens about the importance of the integration process in order to achieve full democratic legitimacy, which is necessary so that the importance of this transformative process is recognized and accepted by the citizens. Building a democratic system that is resistant to all kinds of illicit influence plays a central role in meeting the conditions for EU accession, which refers to the stability of democratic institutions, the protection of fundamental rights and minority rights. Increased monitoring and checking the impact of reforms within the rule of law, will certainly, be an integral part of the new Strategy. The Strategy must continue to insist on the importance of ensuring the independence and impartiality of the judiciary, fight against corruption and organized crime, respect for fundamental rights and freedoms, including freedom of expression, independence of the media, the role of Parliament, building of democratic and independent institutions, depoliticization and professionalization of the public sector. The aforementioned reforms must be accepted unequivocally by the region, and the essence of constructing a system based on democratic principles and the rule of law accepted as part of building sustainable democratic societies resistant to illicit influences. Strengthening regional cooperation represents an essential element of the integration process of the Western Balkans into the EU. Cooperation, connecting and integration in relevant sectoral policies (energy, transport, trade …) should lead to the creation of positive political climate in the region. This will not occur overnight, nor on the basis of something that is written in the Strategy. Political leaders in the region should be invited to demonstrate political maturity, responsibility and true leadership in overcoming bilateral open issues, issues with neighbours, internal structural weaknesses and creating conditions for sustainable development of relations in the region. Only leading by example and assuming historical responsibility, can possibly contribute to improvement of relations in the region. The credibility of the European path of the countries of the region will be based on their ability to recognize the interconnectedness of success and failure of individual candidates and on their commitment to producing common positive results. The success of one country should be accepted as a positive incentive for others in the region. Conversely, the failure of any country can have a very negative impact on its neighbours. The Western Balkan countries should take advantage of the upcoming “timeframe” to present themselves as credible future EU members and to do something new – to positively surprise their partners and do more than is expected of them. At a time when the EU is occupied with its internal issues, underestimating the effect of a positive surprise from the Western Balkans would be wrong. In addition to the publication of the Strategy, 2018 will be marked by other events that represent a good opportunity to promote the EU’s enlargement policy and the European path of the Western Balkan countries. After a hiatus in 2017, in 2018 an annual report of the European Commission on the candidates and potential candidates for EU membership will be published. This report should provide an objective picture on the level of progress of the Western Balkan countries and the level of their current harmonisation with EU law and standards. The report represents one of the ways of measuring the success of candidates and potential candidates and should provide information about the credibility of the relationship of political statements with actual results in the European integration process of the countries of the region. This May, in Sofia, 15 years after the Thessaloniki Summit, a summit of representatives of the Western Balkans and the EU will be held. Although it is still early to analyze possible topics and expectations from the meeting of Heads of State and Government, the very fact that in this way the topic of enlargement is reaffirmed and that the representatives of the Western Balkan countries are included in the debate on the future common steps regarding EU enlargement, represents a very positive message. At the meeting of the European Council, in June, the Member States should adopt conclusions on the enlargement policy and the progress reports on candidate countries and potential candidates. These conclusions will carry special importance in defining specific measures and future steps when it comes to the process of further integration of individual countries in the region and the dynamics of their progress. Later, in July, a meeting within the framework of the Berlin Process will be held in London. This will be an opportunity to analyze the current results of the Berlin process, assess the implementation of the agreed upon measures and lay the foundation for the continuation of this process. During the preparation of the London, meeting security emerged as one of the central themes. Valuing security as a common interest of the EU and the Western Balkans, a risk exists that the insistence on this subject could strengthen authoritarian tendencies in certain countries of the region, whose leaders use “security” and “stability” as a mantra in order to justify their own voluntarism which threatens democratic institutions and procedures. Namely, security cannot have the desired effect unless it is the product of functioning, democratic institutions that provide civilian control, then, of the procedures that are free from voluntarism of individuals, and good governance. Giving priority to security over democracy can never be justified by higher interest and that must be clearly pointed out to all participants of the upcoming summit in London. A successful response to challenges that lie ahead in 2018 will require the inclusion of all stakeholders in the process of European integration. The inclusion of civil society organizations should provide a broader social consensus and legitimacy to the process of transformation of the region. Their role is extremely important, for the monitoring of the process and informing the public about the reasoning and effects of accession to the Union. It is upon civil society organizations to use their capacity to continue to contribute to the creation of proposals for improving public policy, monitor, control and report to the public about the results of reforms in the EU accession process. It is upon the governments to view these activities in a positive light, and accept each evidence-based criticism as an extended hand and a sincere bid to jointly implement the necessary changes. Undoubtedly, 2018 will be an excellent opportunity to finally launch a comprehensive public information campaign about the necessary changes in the EU accession process. Previous attempts of strategic communication were unsuccessful given that there was no willingness to accept responsibility for the necessary reforms, especially in those cases when they were not popular, such as in the area of the fight against corruption, the fulfilment of international obligations or providing conditions for establishment of the independent judiciary. The circumstances in the EU have not always contributed to a positive atmosphere, suitable for communication on the effects of EU accession. The cases of evident “setbacks” in the field of rule of law in certain EU Member States, unfortunately, more often served as an excuse for inaction, than as an example of how important it is to implement systemic reforms for long-term and sustainable stability of democratic institutions which should act as the shield from authoritarian voluntarism. For the first time countries in the region have been given an indicative timeframe of possible EU accession. A timeframe is extremely important for the creation of every Strategy. This is perhaps the key element that was missing for the preparation of a credible communication strategy in the past. It is necessary to use this moment in order to overcome this disadvantage and to clearly define all the necessary elements for a successful communication strategy in this timeframe. The role of political leaders is essential for a successful Strategy. They must take leadership responsibility and begin to send unequivocal messages about the importance of EU accession. To be credible, these messages must not carry any seed of relativization of the importance of the EU as a model of organization of society that is being pursued or to invoke alternative scenarios in order to “blackmail” European partners. Every relativization of the importance of EU accession carries the risk of creating a “boomerang” effect that will affect the negative public attitudes. Attitudes created in this way are difficult to change before the referendum on EU accession. A responsible and credible approach of political leaders to reforms and informing the public about their effects will be their key contribution and evidence that positive changes in the until recently troubled region are not only possible but that in this way it provides a significant contribution to peace and stability in Europe. So, 2018 will definitely be the year that EU enlargement policy returns. However, it is necessary to be careful with expectations because positive results will not be achieved on their own. In the next period, the EU will it be primarily focused on questions about its future after Brexit, the future of the Eurozone, migration, security within the EU and its surroundings, as well as its role in the global processes. All of this represents a very complicated context in which a return to policy of enlargement should be brought back to the EU agenda, to which the enlargement Strategy can make a significant contribution. 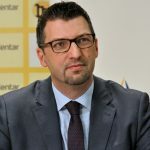 This Strategy must provide new directions, new financial support instruments for regional integration in the EU, new creative solutions that will rest on the inclusion of the Western Balkans into EU policies and programs and realistic deadlines within which to objectively assess the progress of candidates. However, even the Presidency of the Council of the EU by Bulgaria and Austria, from whom a predisposition towards enlargement is expected during 2018, does not guarantee success. Their ability to create a positive agenda dedicated to accelerating the dynamics of the process by 2025 will depend on the willingness and the ability of political leaders in the region to begin to deal with the resolution of bilateral or internal structural problems seriously. During 2018, the region must produce success. At least one of the acute regional issues must be put on a path that promises sustainable solution. In this way the region will demonstrate the credibility of its policy, true leadership, it will send a positive message and provide legitimacy of serious candidates, but also the legitimacy of the continuation of the credible EU enlargement policy. He has been the Chairman of the Governing Board of the European Policy Centre - CEP starting with 12th October 2017. He was employed in the Serbian European Integration Office since its founding in 2004, and performed the role of Deputy Director between September 2005 and June 2017. In August 2015, Srđan was appointed as a member of the Negotiating Team for Accession of the Republic of Serbia to the European Union.